A Focus on Missions: Are You Working Your God-given Field? The choir at East Street Gospel Chapel (ESGC) introduced this song to us last Sunday (September 22) as we worshiped and ministered with the assembly during their Missions Conference. What a beautiful song and what great words! 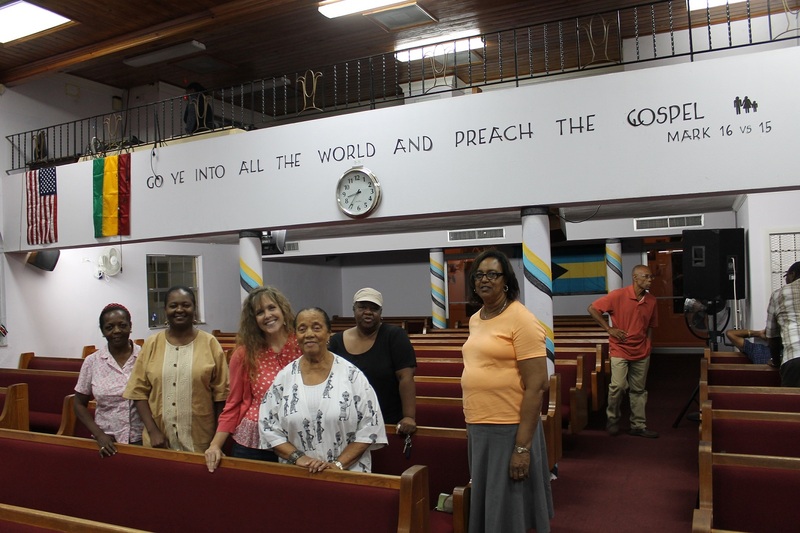 It has inspired us this week and has encouraged us as we continue to do the work God has called us to do here in the Bahamas. If you would like to listen to the song, here is the link to the artist’s video: http://www.youtube.com/watch?v=aXwE0kQN8-w . We hope you are blessed and encouraged by it. Its message challenges us to use our God-given gifts to do the work He has called us to do and to see that we all are called to be missionaries wherever we are. God needs preachers, teachers, caregivers, custodians, nurses, lawyers, factory workers, store clerks, maintenance workers, etc. working his fields. God has called our family to a foreign land, but some are called to stay home and work the mission field in their homeland, in their own community. No matter where God has called you to minister or what he has equipped you to do, start seeing those around you as your mission field and start working the field with us! 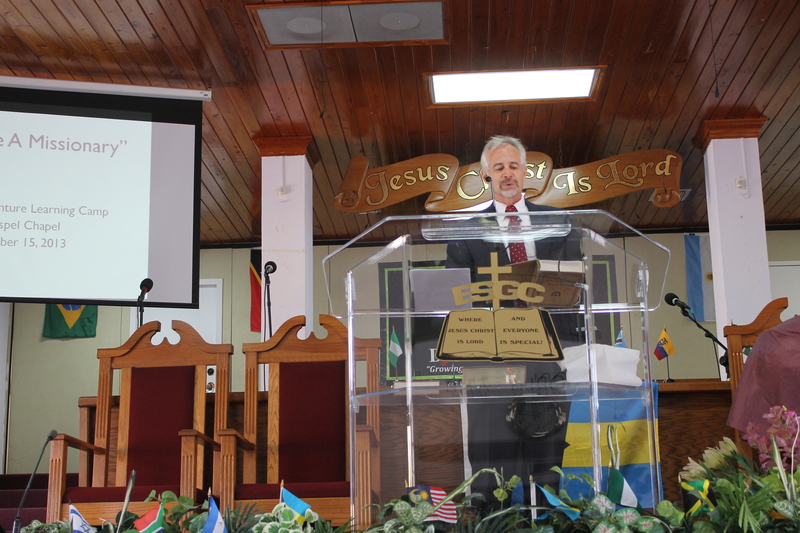 The last 2 Sundays and last 3 Wednesdays we had the honor of worshiping and fellowshipping with the dear people at ESGC during their annual Missions Conference. When Tim agreed to speak at these conference meetings back in February/March, we had no idea what God had in store for us. The assembly called us to come and minister to them, but as we reflect back on these 5 meetings with them, we feel they are the ones who ministered to us. The warmth of the people and the new partnerships and comradery we have received as a result of assembling with them are a huge blessing from God. We feel a special bond with the people at ESGC and are thanking God that He brought them into our lives. 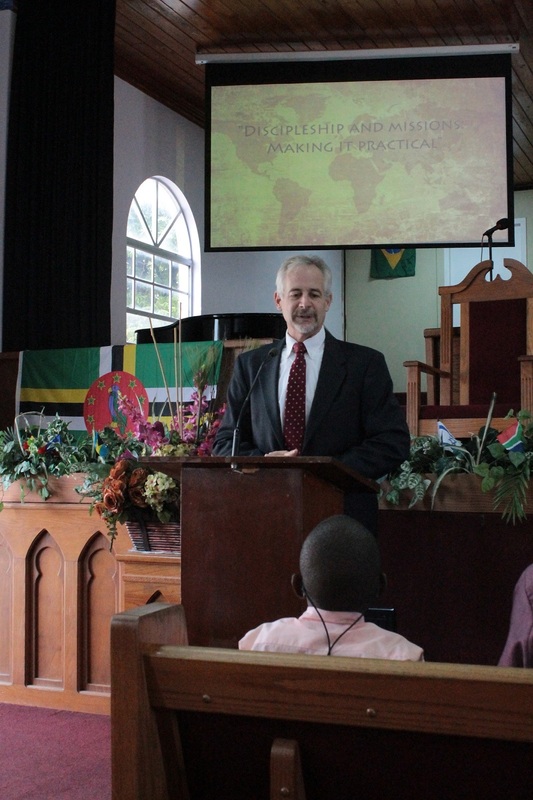 The theme of the Mission Conference was Discipleship and Missions: Making it Practical, and Tim spoke with this theme in mind. We are so thankful to ESGC for giving us this opportunity to minister to them and for allowing us to develop a relationship between their ministry and our family’s ministry and the ministry of the Adventure Learning Centre and Camp. We look forward to future opportunities to meet with these dear people. Tim shared a little about our ministry and about the upcoming Funday at Adventure Learning Centre with the children during the opening time for Sunday School on September 15th at ESGC. 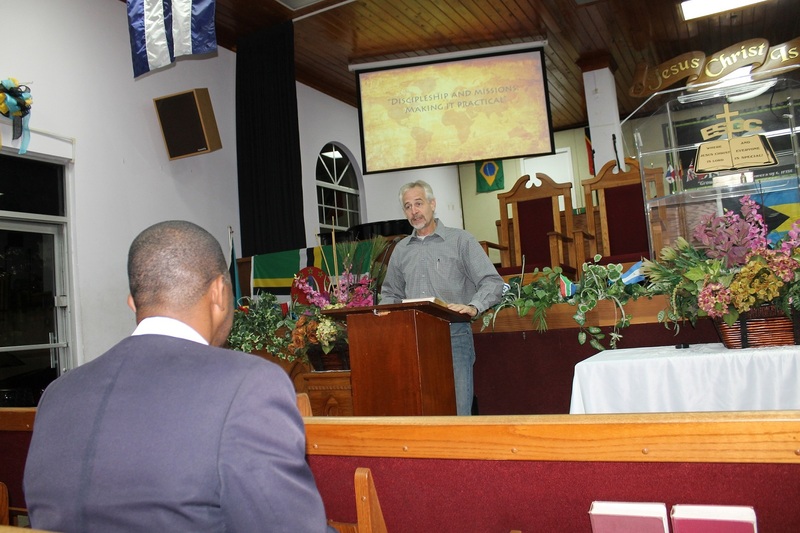 During the worship service, Tim spoke from Colossians 1:9-10 and challenged the congregation to evaluate their prayer life, their daily walk, and if they are bearing fruit in every good work. First Sunday morning at East Street Gospel Chapel with a couple of the pastors. On Wednesday, September 18th, Tim taught on prayer. Mindy and Logan spoke on the 18th as well. 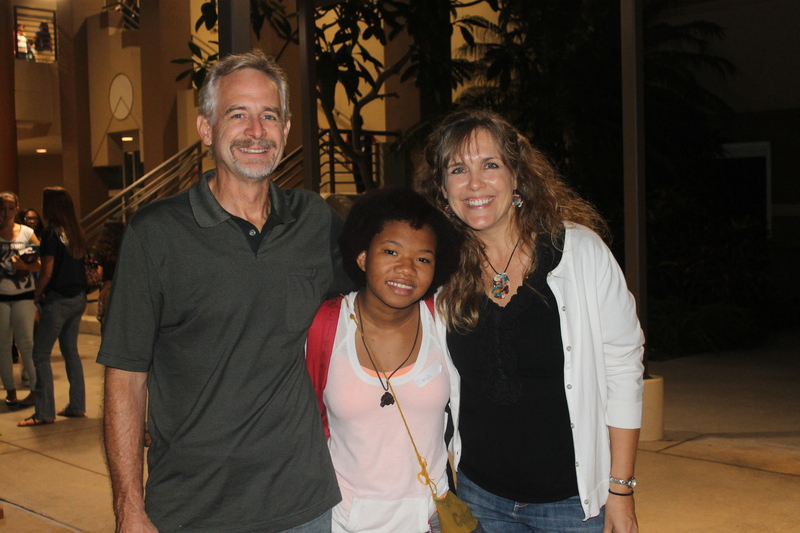 Mindy shared our family’s journey into full time ministry and how God led us to The Bahamas. 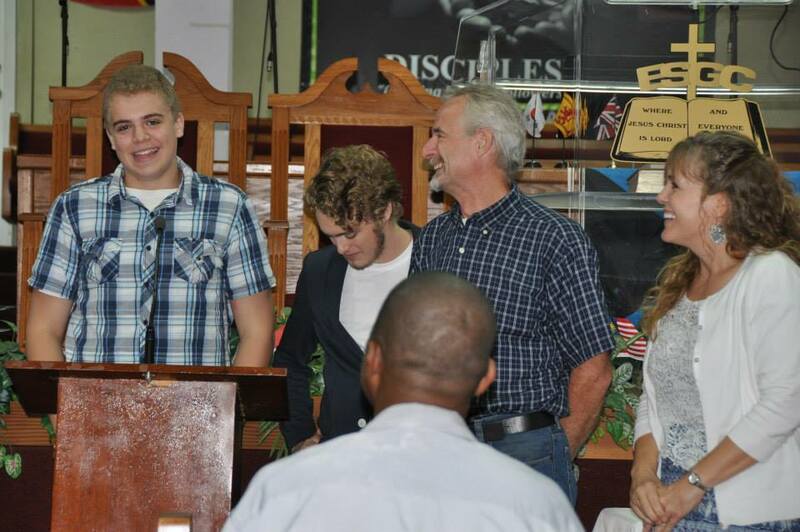 Logan shared the challenges and blessings of moving to a foreign mission field as a teenager. Question and answer time: Zachary and Logan were fair game. They were asked many questions by the ESGC people. Mindy has met my match. This is Pastor Edmund Dorsett, and he is quite the picture taker as well. We met him, his wife (not in the picture) and his mother (sitting in front of Edmund) at East Street Gospel Chapel. They are a special family. Edmund’s mother was part of the Crossroads ministry that partnered with Randy and Kim Grebe to start Adventure Learning Centre. 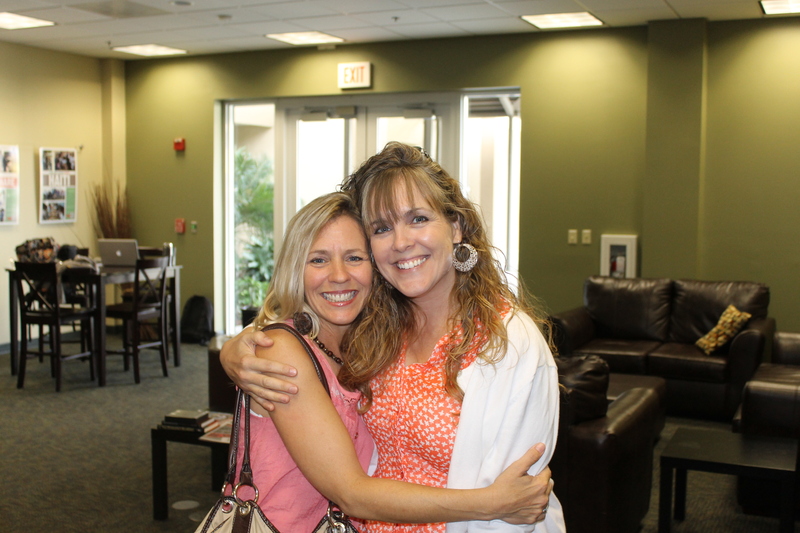 After the service, Mindy got to meet Edmund’s mother, Mrs. Dorsett (to the left of Mindy in this picture). She is 92 years young. She is a sweet lady and very enjoyable to talk to. We wish we could remember all the names of these ladies. We have met so many people in such a short period of time and have had such a hard time remembering everyone. This is Gus. Boy can he sing! He sang a solo piece with the choir on the first Sunday we were at ESGC, and on the second Sunday, he sang “Field of Souls” with the choir as a back up. Believe it or not, Mindy forgot her camera on Sunday, September 22nd. Thankfully, Edmund had his camera and took some pictures for us. 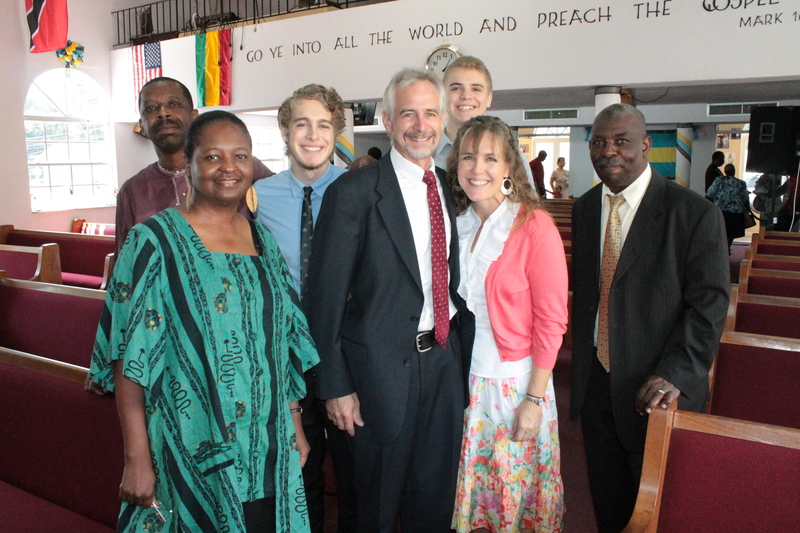 Roger and Grace Grebe and our newest facilitator, Marion Brodeau, joined us for church that morning at ESGC. Tim spoke on “Walk in a Manner Worthy”. From Luke 24:13-35, he challenged the congregation in preparing to be a witness, method of witnessing, and living a life as a witness. 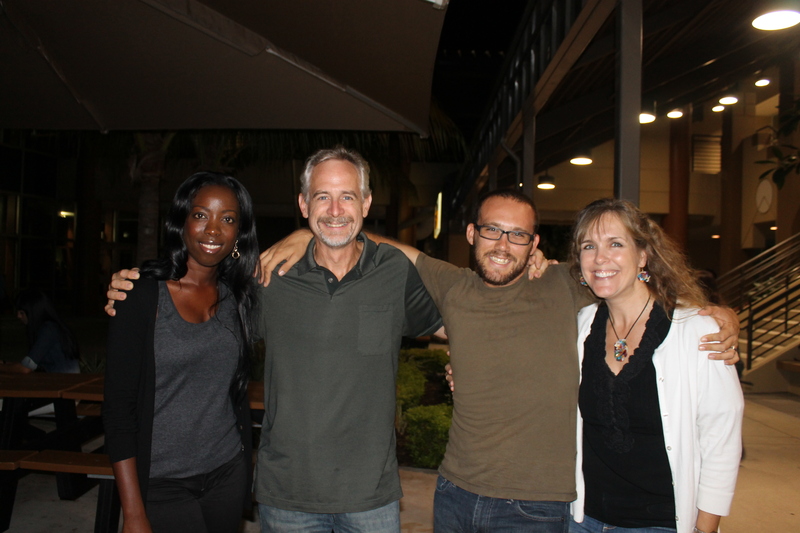 Tim’s last night of speaking at ESGC on Wednesday, September 25th. 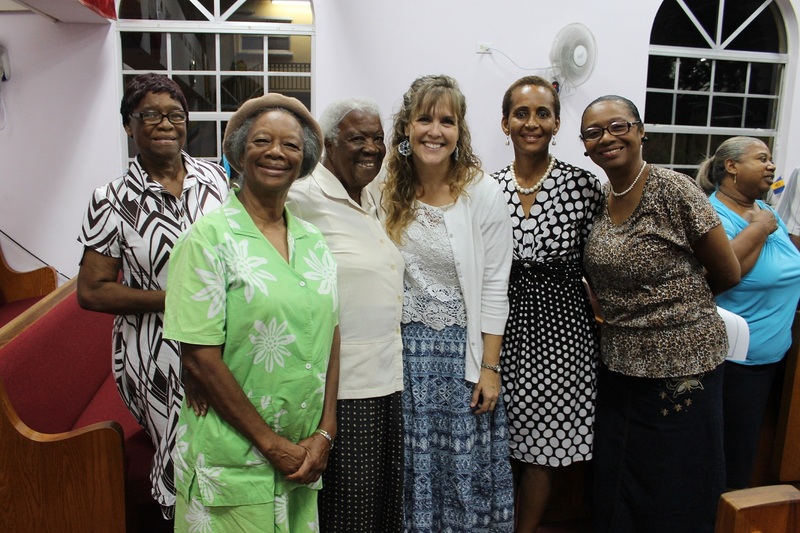 Mindy with some of the women of the church at ESGC. 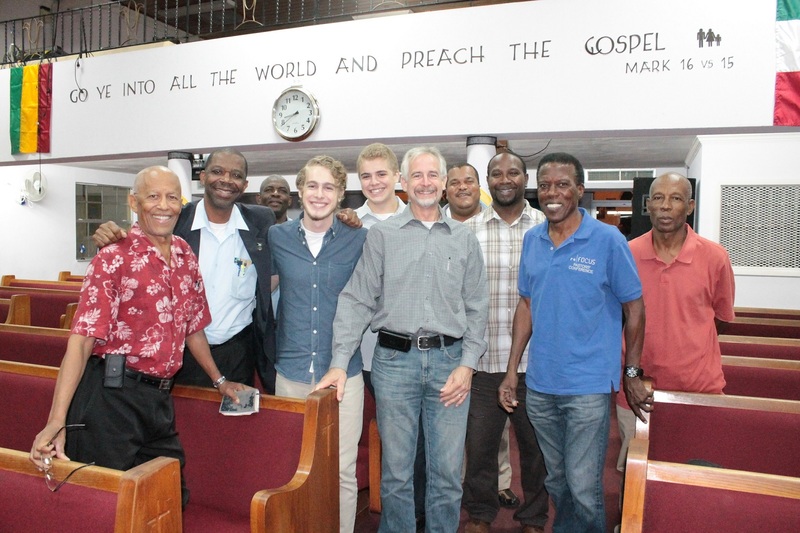 Tim, Zachary and Logan with some of the pastors at ESGC. This was also on Wednesday evening, September 25th (the last evening of the Missions Conference). 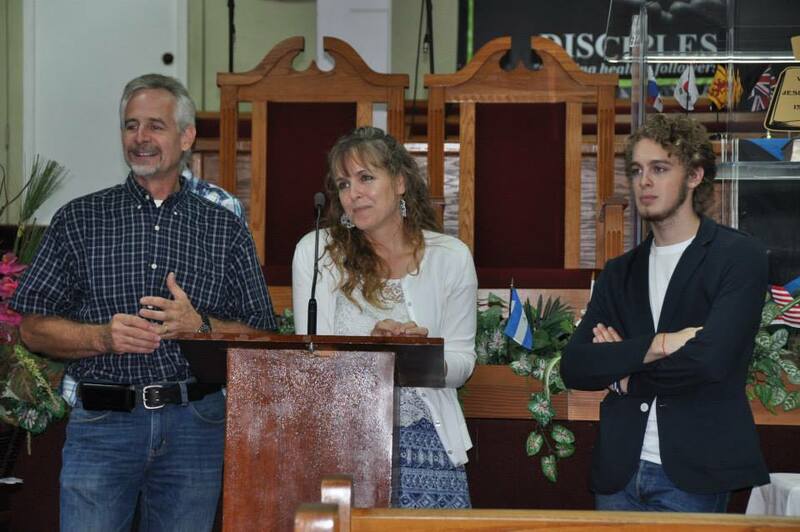 The man to the left of Logan in this picture is Pastor Bradly King. He is the man God used to bring us to ESGC for this Missions Conference. 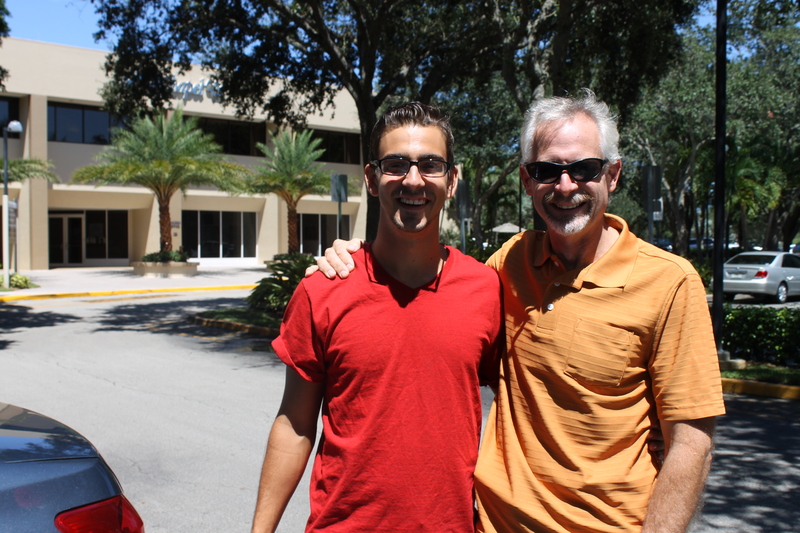 TIm met him last February through Phil Barker at Grace Community Church’s Missions Conference. Stay tuned for posts 2 and 3 later this week! For those of you who receive an email notice from us telling you when we post a blog, you may already know this. This is post 1 of 3 that we intend to post this week. It has been 3-4 weeks since we last posted an update, and since there is so much information to share, and since many of our readers do not have time to sit and read long posts, we have decided to break this post up in to 3 installments. 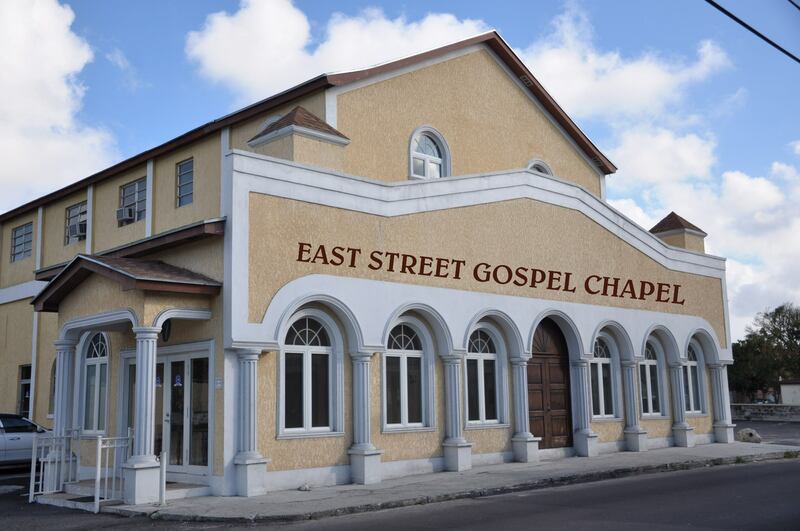 This post, as is evident, focuses on our ministry work at East Street Gospel Chapel. Our second post will focus on the ALC 20th Celebration, and our third post will focus on all the other “stuff” that has been going on around here the last 3-4 weeks. *Fellow ALC staff who are also struggling right now with exhaustion. It has been a hard month with the 20th celebration preparations, and now school programs are in full swing. Thank you for praying for us and for your interest in our life and work. We are blessed and sincerely appreciate all of you. May God Bless you! Thanks for the prayers, they are working! 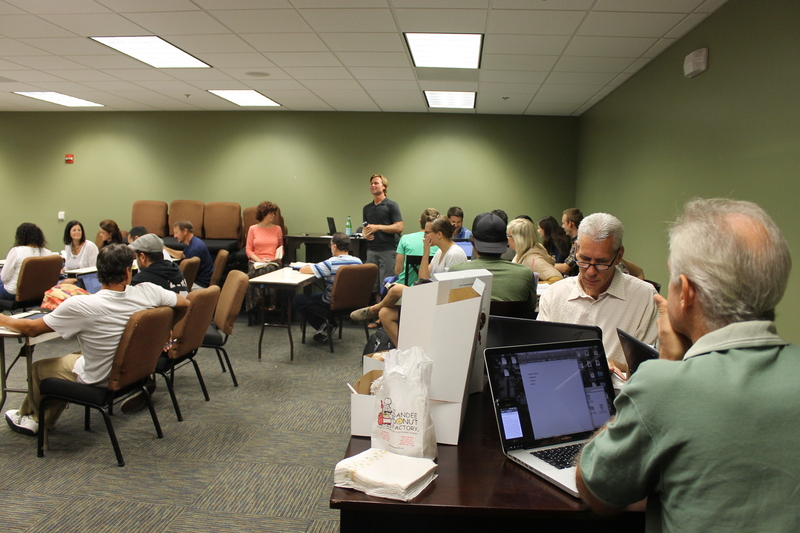 September 18, 2013 8:08 am / 1 Comment on Thanks for the prayers, they are working! Hello, Everyone! Just a quick note to say thank you to all of you who are praying for us as we journey through this busy week. 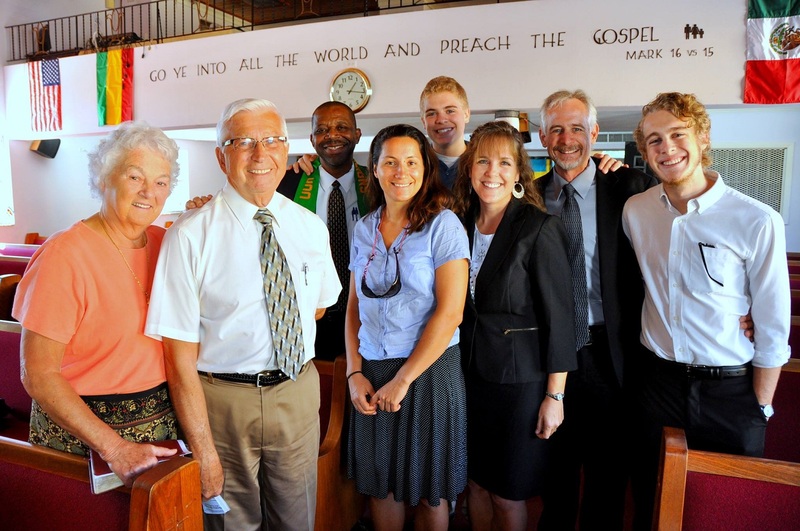 Sunday’s service at East Street Gospel Chapel was an incredible blessing to us, and we hope it was a blessing for the assembly there as well. Tim was directed by the Spirit through the service, and we are praising the Lord for His work through him. Please continue to pray for us as tonight we will be presenting the story of our journey into full time missionary work (Logan and Mindy will be sharing as well as Tim), and Sunday Tim will be speaking in the morning service again. The first event for the ALC 20th celebration is only one day away, and we have all been busily trying to get things done. Please pray for the last minute preparations, safe travel for those coming from afar, and for the implementation of the festivities. There is a lot crammed in to these next 3 days, but we know God will help us and sustain us. We look forward to catching you all up with a full blog post in the next week or so. Almost able to get out of the water! For the last 12 months, we have been swimming in a sea of busyness. Some times it seemed like we were swimming along with ease as currents aided us in our movement forward; other times it seemed we were fighting against the current, getting somewhere, but not very easily; some times we were just treading water and not going anywhere at all; and yes, there were even times when we felt like we were being pulled down under the crashing waves. At no time, however, did we ever drown; praise the Lord! We just passed the one year mark of our first trip to the Bahamas (It’s is hard to believe Seeleyfamily87 blog has been up and going now for over a year!) Ever since then, we have been swimming full speed ahead—loosening our ties to our United States way of life, preparing for our new ministry work and the needs associated with that, relocating to New Providence, setting-up a new way of life, assimilating to the culture, learning about and working in the ministry work of the ALC, ministering to the needs of the many Bahamians and foreign mission teams we have served over the past several months, and working through the frequent 6-7 day work weeks. We have passed through so many waters, and yet through it all, God’s sustaining, strengthening arms have always been there to keep us afloat. As we reflect back, we are humbled and convicted about all the times we flailed in the water because we stubbornly tried to go it alone. Praise the Lord for His faithfulness to us even during those times it appeared He was forcing us to reach for His lifeline. The transition here and the summer camp season is over, and after the Adventure Learning Centre and Camp 20th anniversary celebration scheduled to take place 19-21 September 2013 (more on that later), we will finally be able to take a breath and get out of the water. Although we still have plenty to keep us busy here, we hope to be able to take some time to relax and catch-up as a family. Along with that, we are hoping and praying for an opportunity for our sons and daughter-in-law from Minnesota to come to the island for a visit. Please pray that God works the details of this out and that we (especially Mindy) are able to remain patient. Much of what we are doing now at camp cannot be photographed and thus will not be reflected in the pictures below: designing camp brochures and fliers for events, working on the quarterly ALC newsletter, making plans for the Young Adult Weekend coming up in October, assisting in the editing of the new ALC website, updating the slide show for Mark’s planetarium program, and corresponding with prospective and scheduled groups for the winter, spring and even next summer months. We have also been working on the presentations we will be presenting at East Street Gospel Chapel’s Missions Conference during the month of September. Tim will be speaking at these 4 meetings and our family will be sharing our call and work here in the Bahamas at one of the meetings. Please pray for us as we continue to work with plans for future camps and for our ministry at the missions conference in a couple of weeks. Adventure Learning Centre and Camp is celebrating 20 years of adventure! We praise the Lord for His faithfulness to this ministry for the past 20 years and are excited to see what He has planned for the next 20+ years. Please consider coming and celebrating with us 20-21 September 2013. 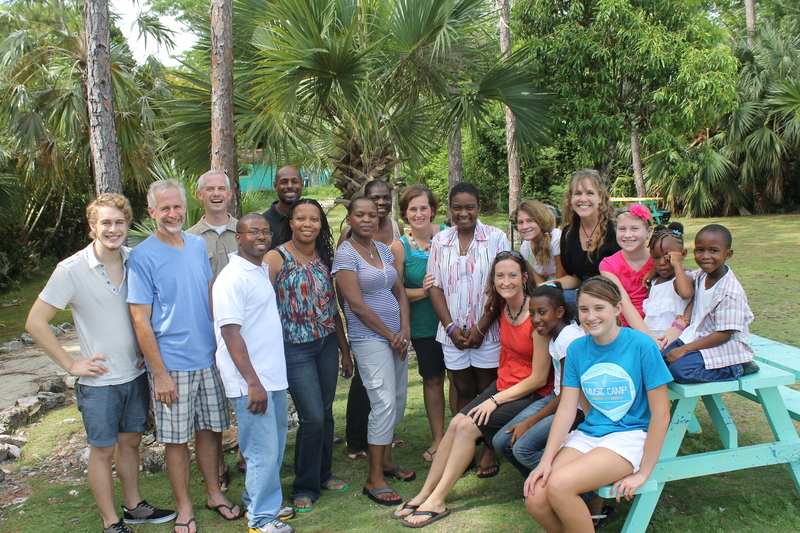 If you are not able to join us, please pray for the 20th celebration and prayerfully consider how God could use you to further the work God has called the staff to do here for the Bahamian people at Adventure Learning Centre and Camp. 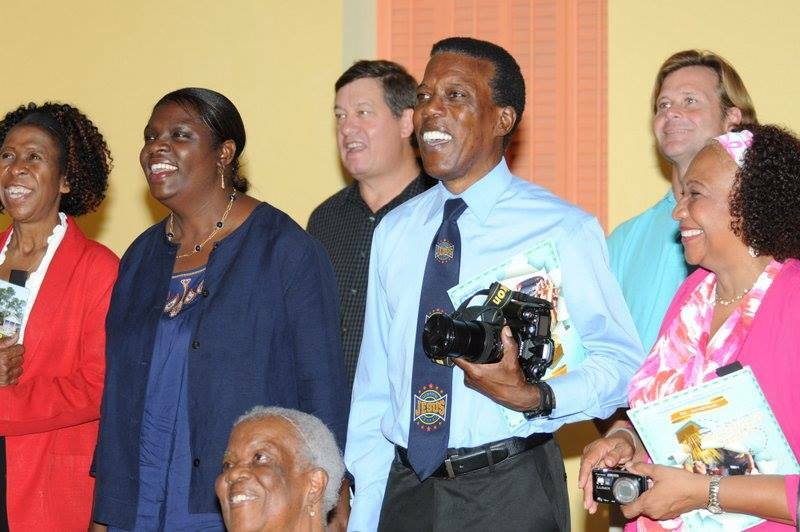 If you would like more information on attending the celebration or on how you can help the ALC ministry, please contact Tim at tims@alcbahamas.org or Mark Wallace at markw@alcbahamas.org. Please don’t forget to check out the prayer request list below the picture section. Thank you for your interest in our lives and ministry work. You truly are a blessing to us. Tom and Tim worked on phone wiring so the camp office had phone hook-up. They also worked on the Vonage because it had not been working for a while. All moved in! Tim now has office space to work from, and we have our house back. Mindy loves having less paper clutter in the house. 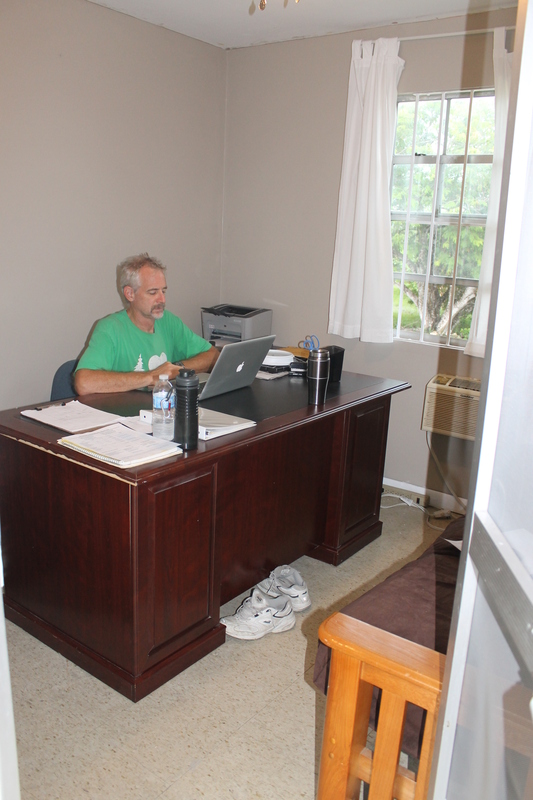 Tim likes having a quiet place to make telephone calls from and to meet with people. Fabian, our electrician, has been helping us work through the tedious process of getting code inspections completed so we can get the electric upgrade finished. 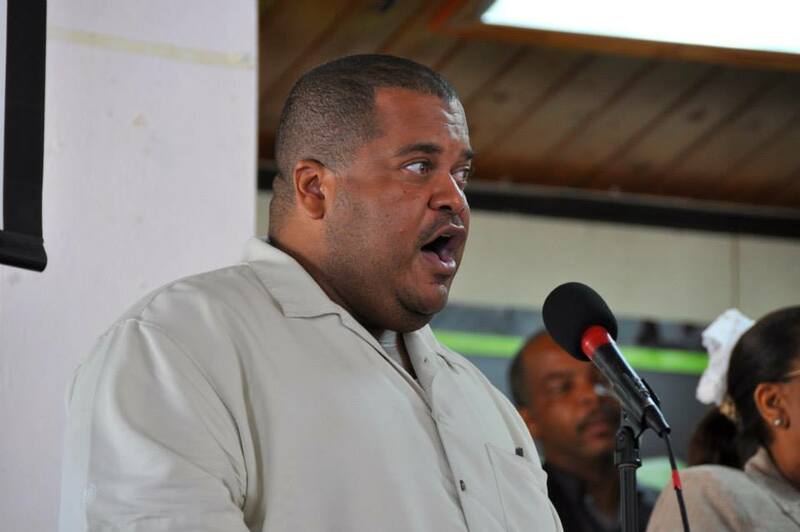 Another Bahamian bureaucratic, logistical nightmare! It is taking time and no one seems to know for sure what to do, but as we keep praying, we know God will work things out. 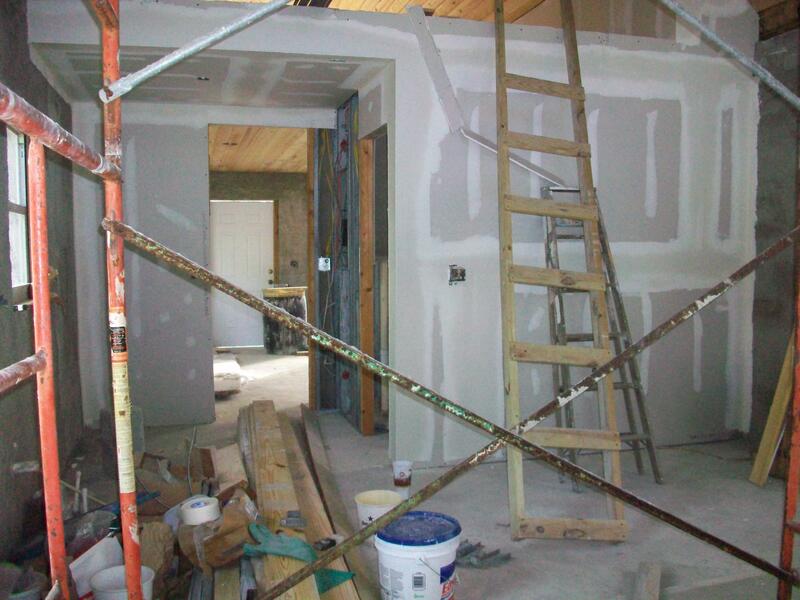 We are waiting for several sign-offs from works departments, plumbers, electrical, etc so we can get our certificate of occupancy for the bathhouse. Once that is done, we can get the electric meter for the bath house and have BEC turn on power and finish the electrical upgrade. Almost there! Too cute not to include in this post. 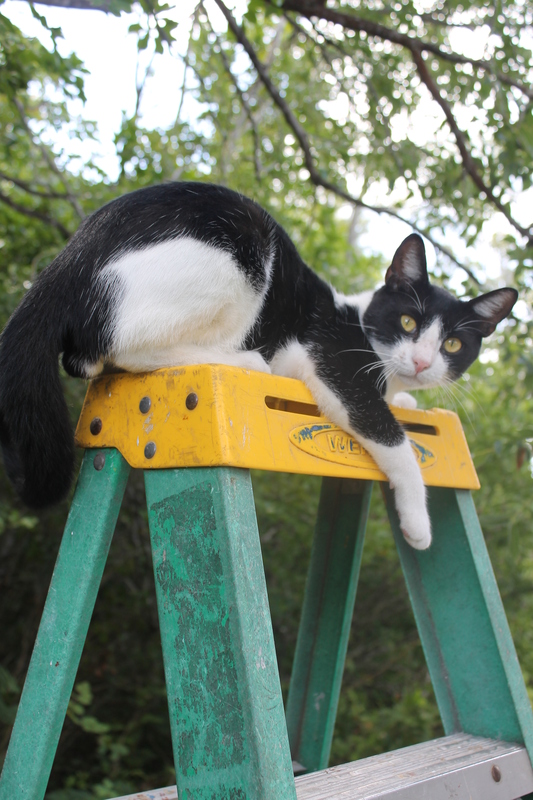 This is Jingles, one of camp’s many critters. Actually this is Tom and Kevin’s cat, but he makes himself at home on our washer in our laundry room all the time and he “runs” the camp, so everyone claims him. Besides Jingles we have a lot of unnamed pets that, although helpful to the ecosystem of the Bahamas, are not always appreciated. Of these are nonvenomous snakes (boas, red racers), tarantulas, roaches, mosquitoes, millipedes, centipedes, VERY large slugs, rats, termites, hermit crabs, and others. Please pray for us as we learn to deal with the unnamed pets. Because we have heard stories of snakes in beds and in back yards and tarantulas in people’s houses, Mindy has been jumping a lot when she feels something on her or sees something move out of the corner of her eye. 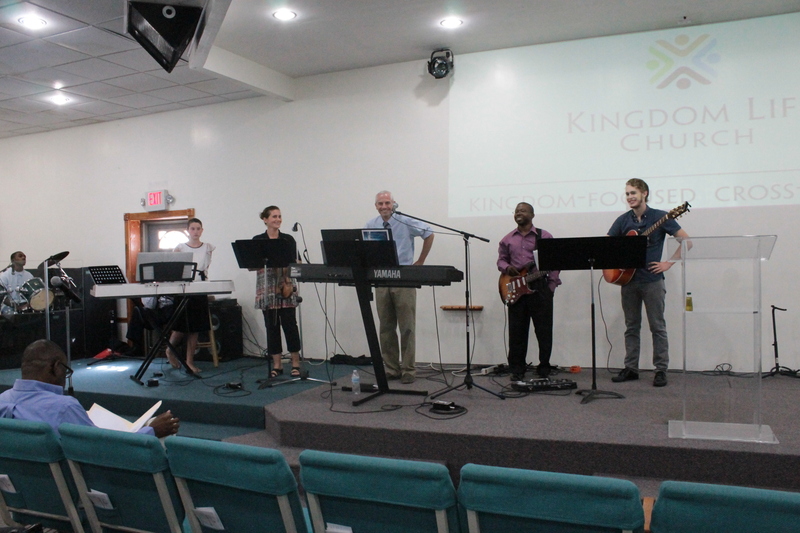 Logan began helping on the church worship team on the 25th of August. He doesn’t put himself out there or brag about his abilities, but he is a talented musician. 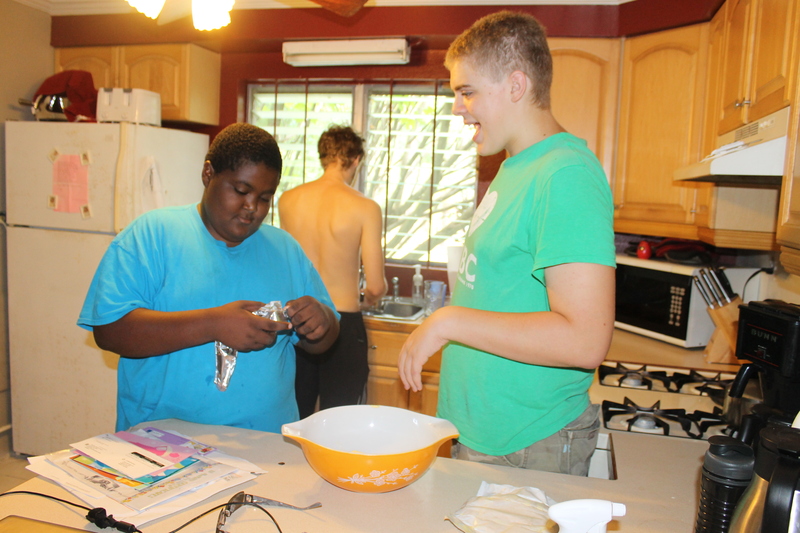 With day camp at the Centre over and guest groups winding down at Camp, toward the latter part of August, RJ (the Centre’s secretary’s son) came to our house to hang out with Zachary everyday. They played video games, did some type of work project for us, and goofed off most of the day. It was fun to watch these two together. 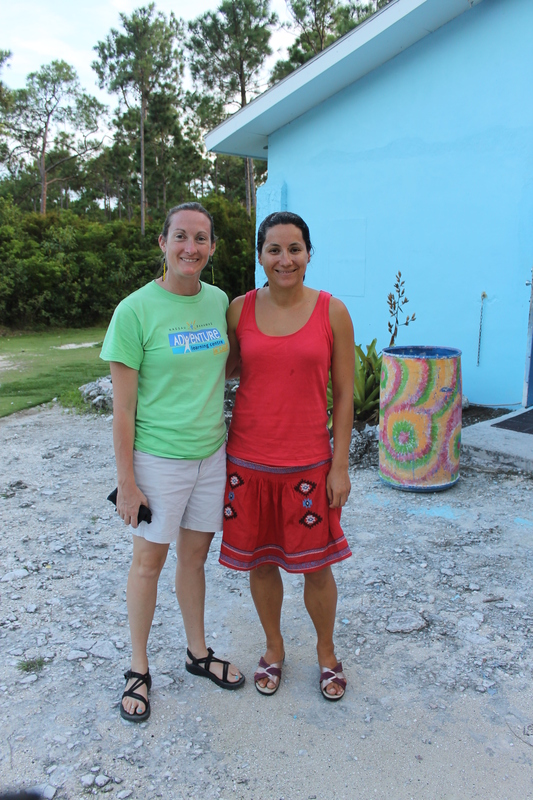 The team led by Dani Miller from Wausau, Wisconsin spent 16 days in the Bahamas. This is the day they left. We knew everyone (except Jack and Raenell) from when we lived in Wisconsin and before. 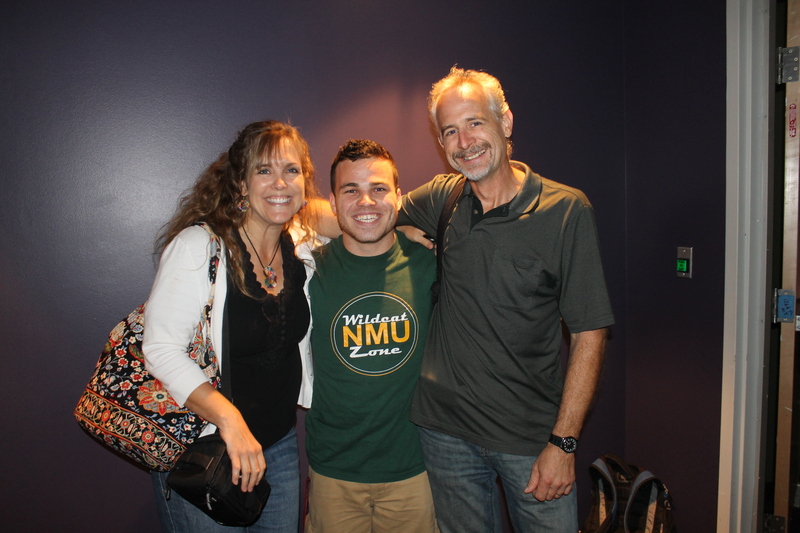 It was like having family here for two weeks, and it made it hard to tell them good-bye. They spent a good part of their time here working at All Saints Camp, but the work they did do here at the Camp and Centre was a huge blessing to all of us. They are hard workers. Thank you for your help! 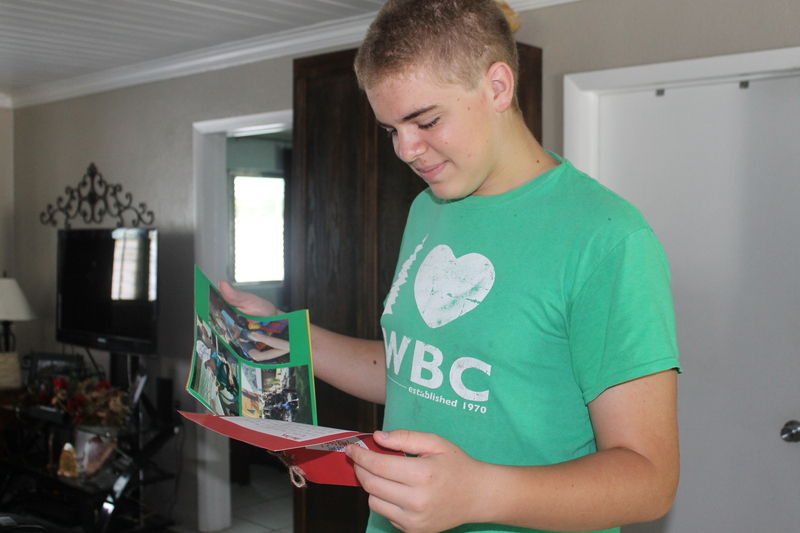 Although it took more than three weeks for this commemorative photo book from Andrew and Jennifer Boom to make it here, Zachary enjoyed receiving. The Boom family attended family camp at Living Waters Bible Camp in June/July, and Zachary was their family’s kid caddy for the week (almost like a private duty nanny). 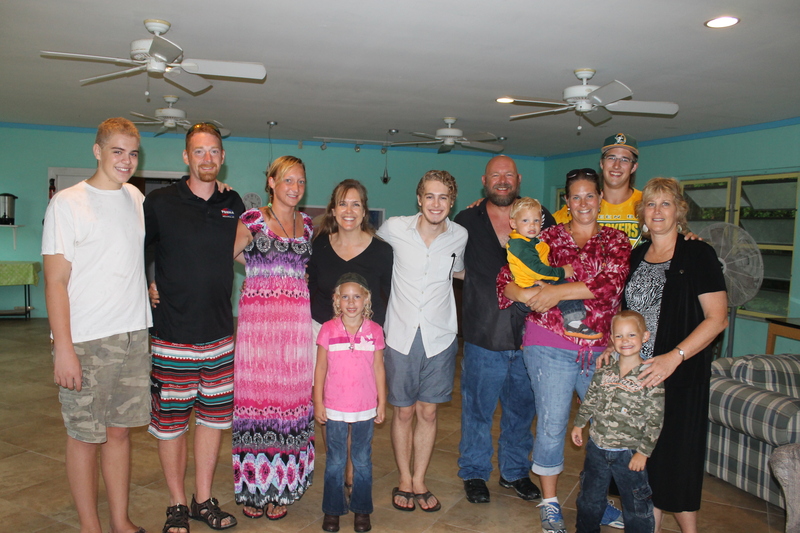 He enjoyed helping take care of their infant and toddler boys for them while they were at camp. They put together the book as a thank you. We put the boys to work making cookies. RJ said he had never made cookies before. 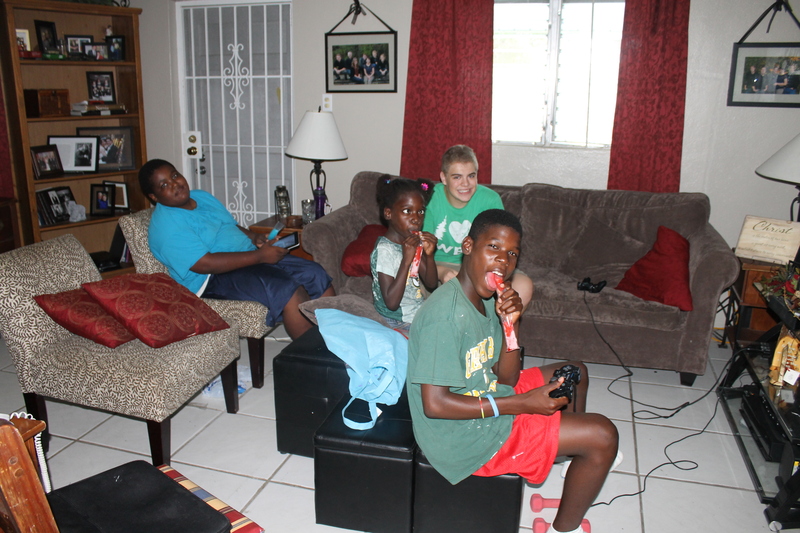 Shadow and Richelle joined the boys one afternoon while their parents, Tim and Felicia Ryan, worked at the Centre. Mindy has been working all year trying to get things organized in the camp laundry room, kitchen and bath rooms. It is her hope that it makes upkeep and management of cleaning duties easier as the camp grows. 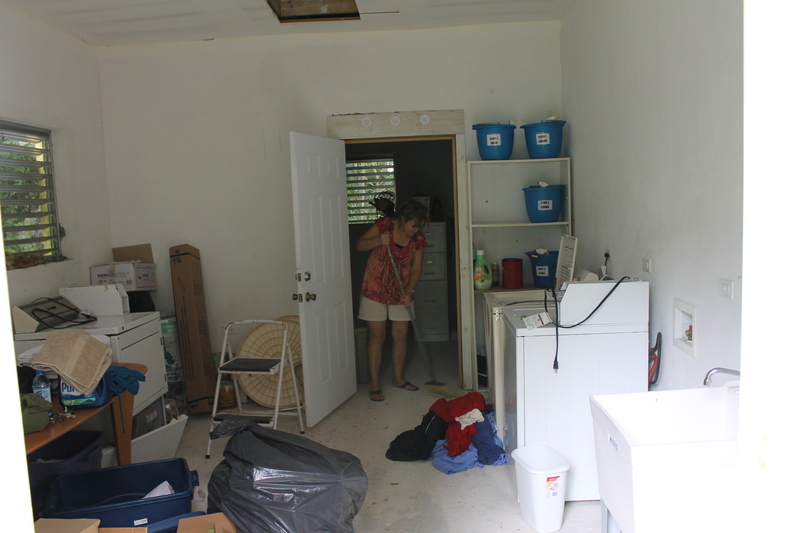 One of the jobs that has been bugging her all summer is the messy, unorganized laundry room. We don’t have a finished picture to show here, but it is now clean and organized. 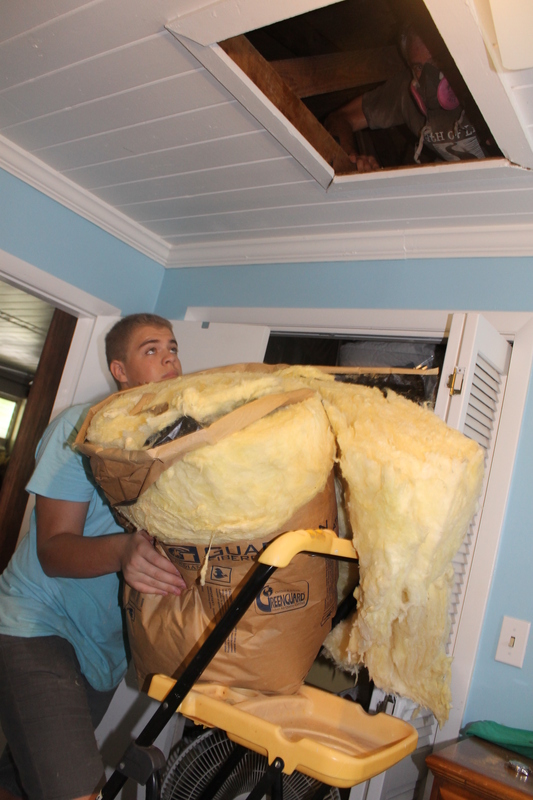 Tim, with Zachary’s help, was reusing some discarded insulation from a wall demo project at the Centre. 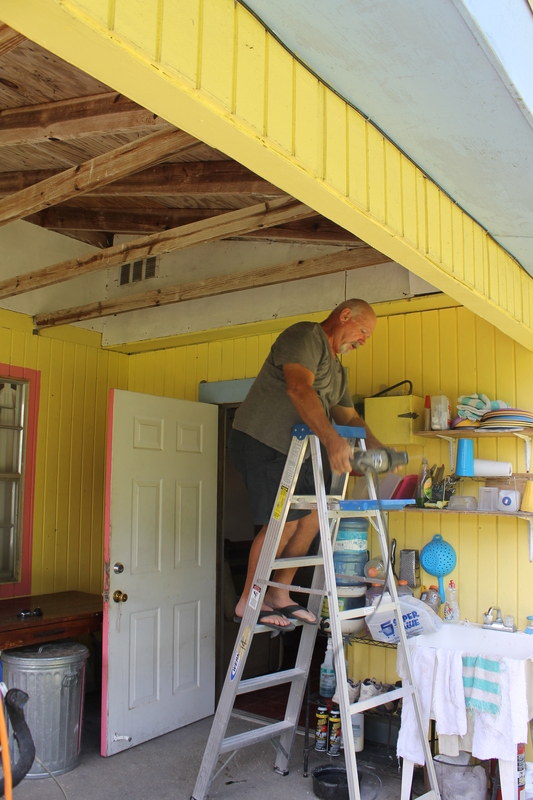 The insulation in the ceiling of the camp house is practically non-existent, and because of that, the house is very hot when the sun is shining and beating down on the dark roof all day. This project is only 1/8th of the way done. 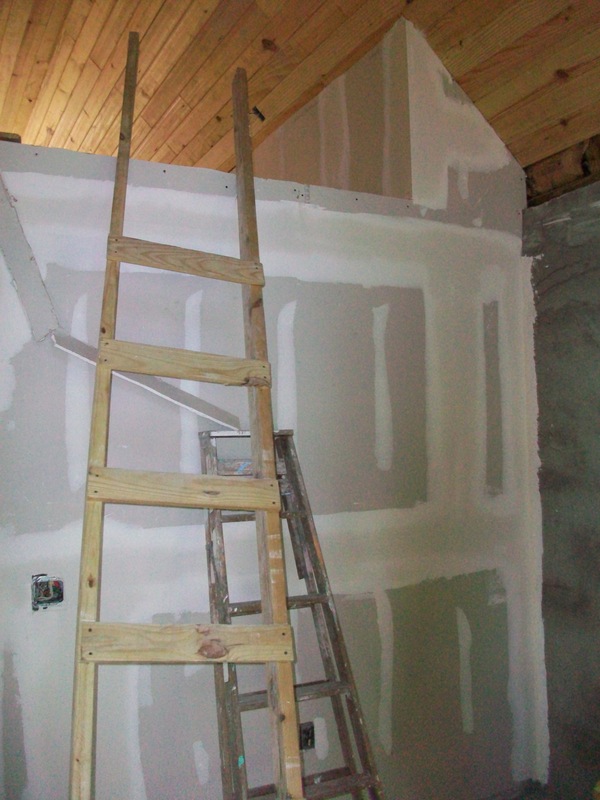 We hope to get more insulation soon so we can finish the entire attic. We also have a termite issue in the attic. We are trying a few things to see if it will take care of the problem. 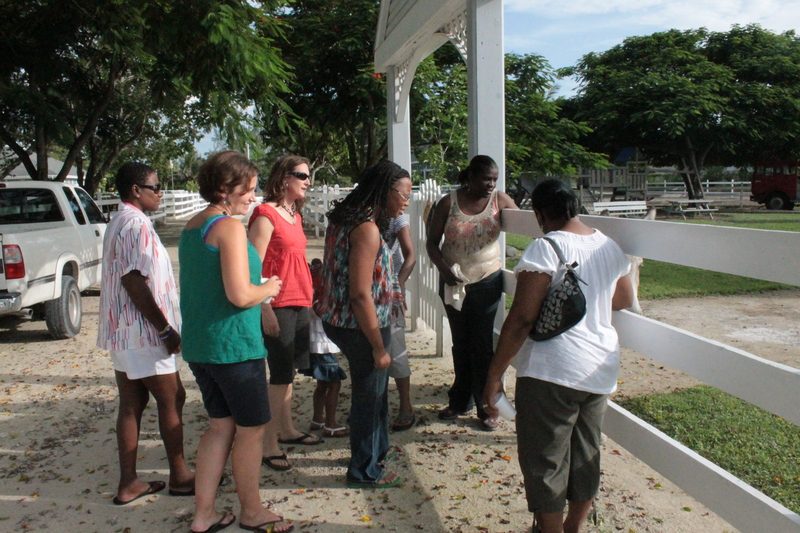 Letitia (on the right) came over to introduce her baby daughter to us. 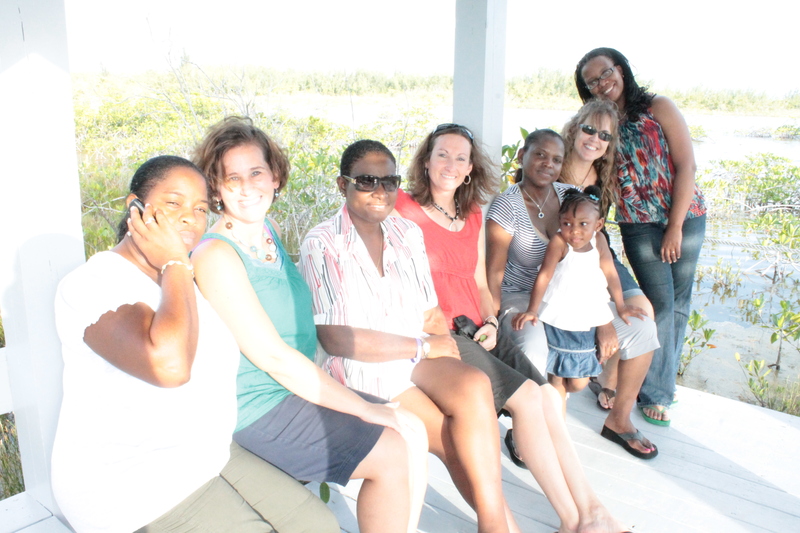 Letitia used to be a facilitator at the Centre. 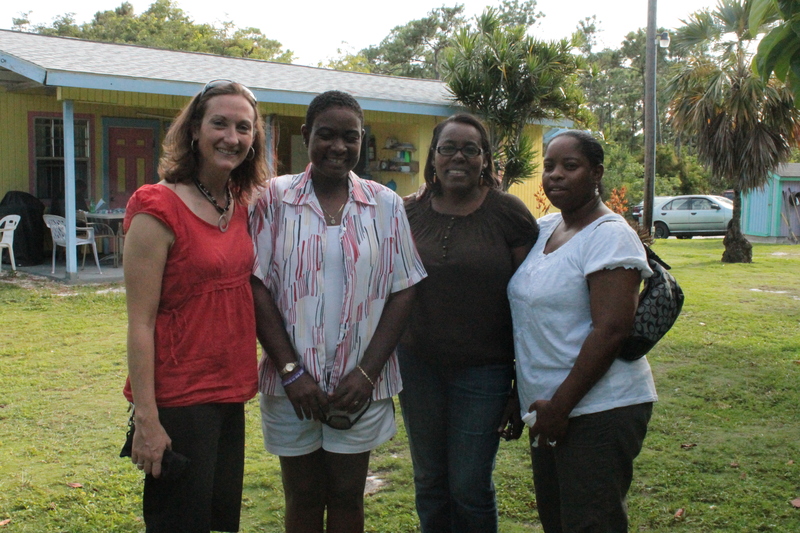 We had such a great visit with Letitia and her children and with Tika (a current facilitator) and her mom Gloria. 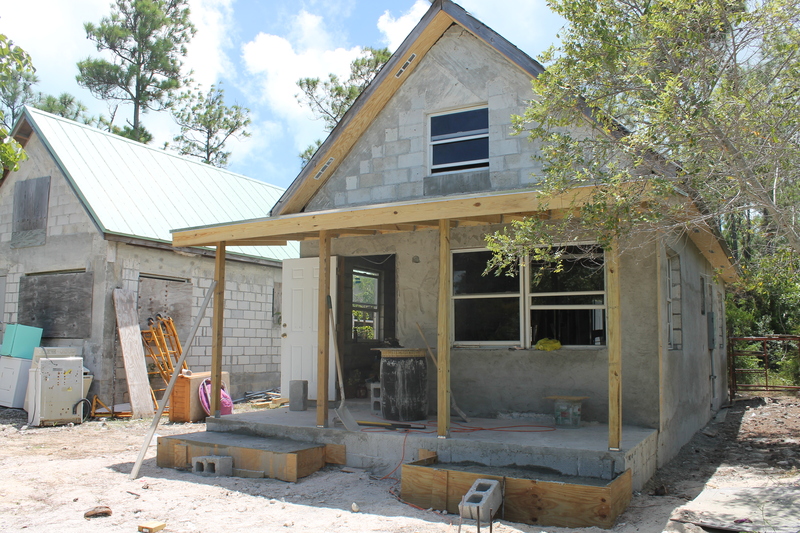 Progress on the staff cottage continues. This was taken 1 1/2 weeks ago. 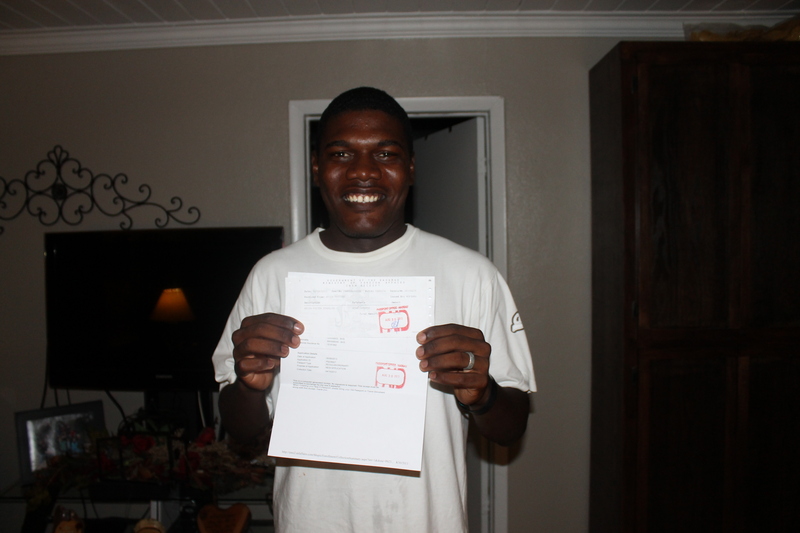 Kevin finally has his passport paperwork complete. We have been praying with him about this for several months now. We are so excited for him. Now he can get off the islands. He has never been anywhere but an island. How do you describe things like long road trips, highway speeds, large open spaces to someone who has never been to a large piece of land that is not immediately surrounded by water. We are looking forward to some day getting him to the USA. A contingency of Kingdom Life church members got together at our place to wish Jen a happy birthday! 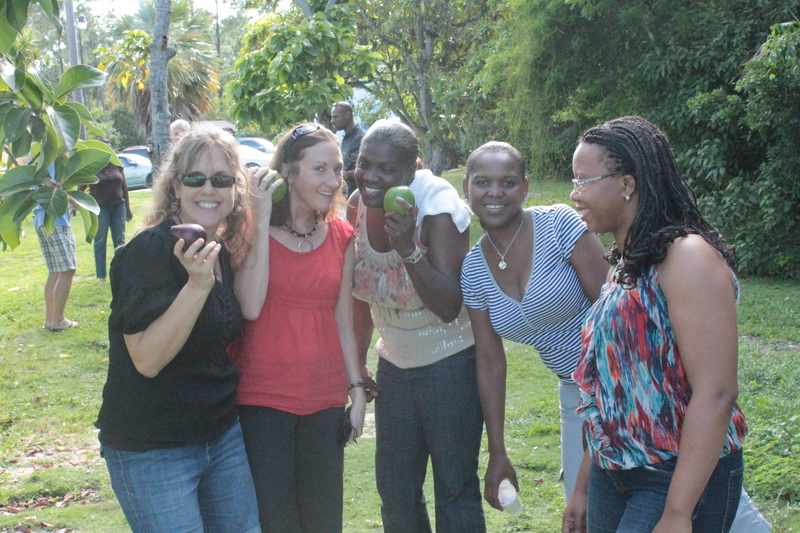 After cake/ice cream and fellowship, the Bahamian gals tried to explain to us Americans how to tell when the “pears” (we call them Avocados) are ripe. We have a “pear” tree outside our back door and it is full of “pears”. 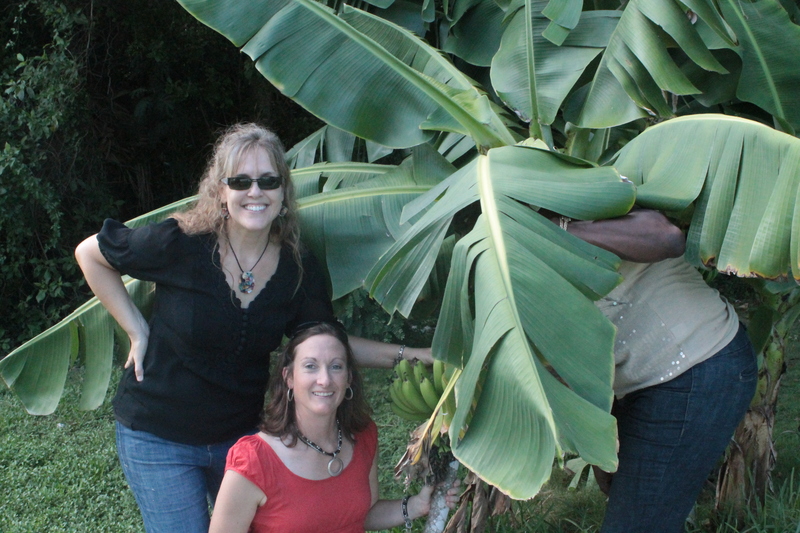 We also have a banana tree outside the back door, growing over the septic system. There are bananas growing, but someone keeps taking them before they ripen. A couple of ladies that came to celebrate with Jen but did not make it in the group picture taken earlier. 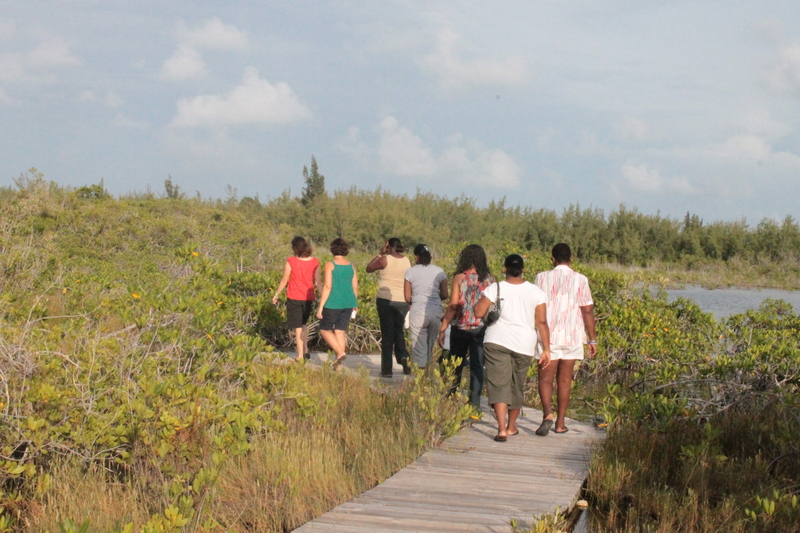 After examining the fruit trees in our back yard at the camp, several of us ladies went over to the Centre to see the animals and to visit the wetlands behind the Centre. After visiting the petting farm, we walked into the wetland area. It is gorgeous back here. We ask you to pray that we maintain the rights to use this crown land. The Seventh Day Adventist School next door to the Centre is trying to get a hold of this property to use it for ball fields. There is an observation tower/gazebo in the wetlands area. 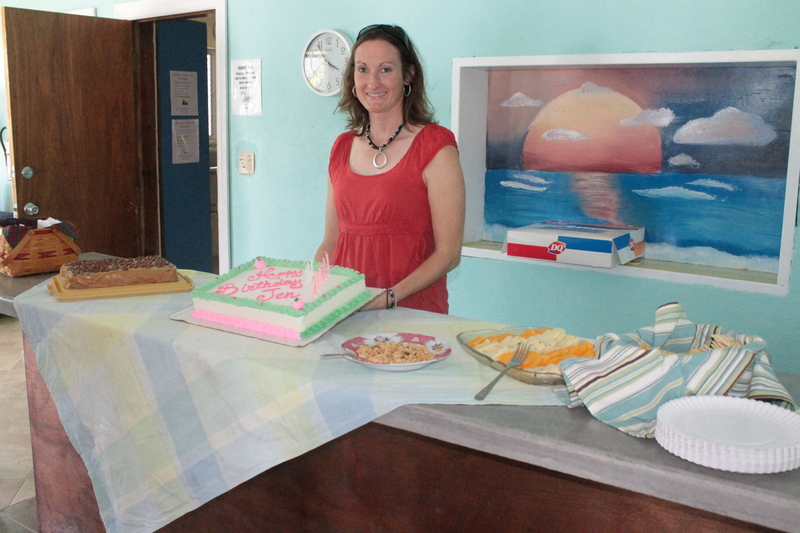 We took the time as we gathered here, to pray for Jen as she celebrated another year of life. These ladies are such dear ladies. First official day of homeschool for the boys (actually Logan started two weeks earlier because he is doing classes through Liberty University Online). First day, in a new room, in a new house, in a new country. Lots of “news” this year. Pray for us, we are not totally prepared for this year’s school year. Because of the busyness of summer, Mindy was not able to start planning for Zachary’s classes until almost too late. Even with one week of school over, there are still things that need to be finalized. 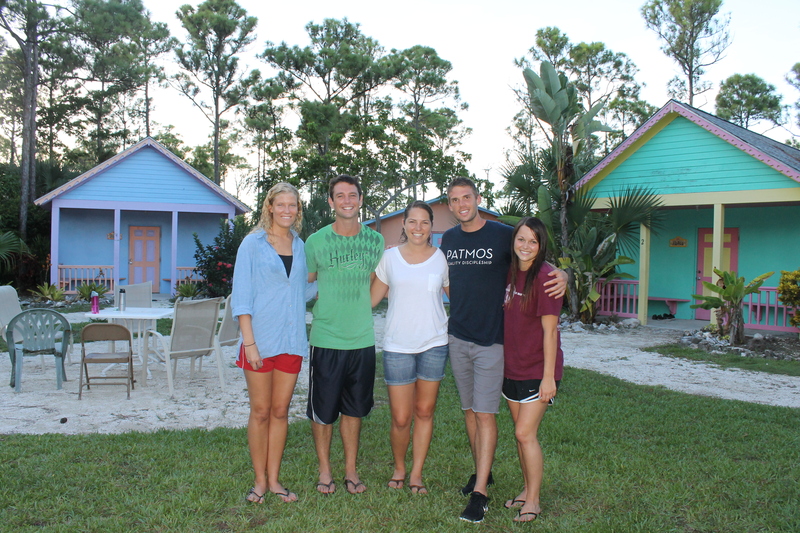 Patmos interns came for 3 days of work at the Centre. Tom has had a lot to do in order to get the facility ready for the 20th anniversary celebration coming up in two weeks. We have not even begun to work on the “to do” list for camp. We hope we are able to start doing some of those projects within the next week or so. There are going to be several couples coming from the states to stay at camp. Please pray we get everything done. We are not scheduled to have any help between now and then. Our “last” group for the season. The Patmos interns that came to help get the Centre ready for the 20th anniversary celebration. With Jen is our new facilitator, Marion. She will be with us for a couple of months before going to work in Haiti. 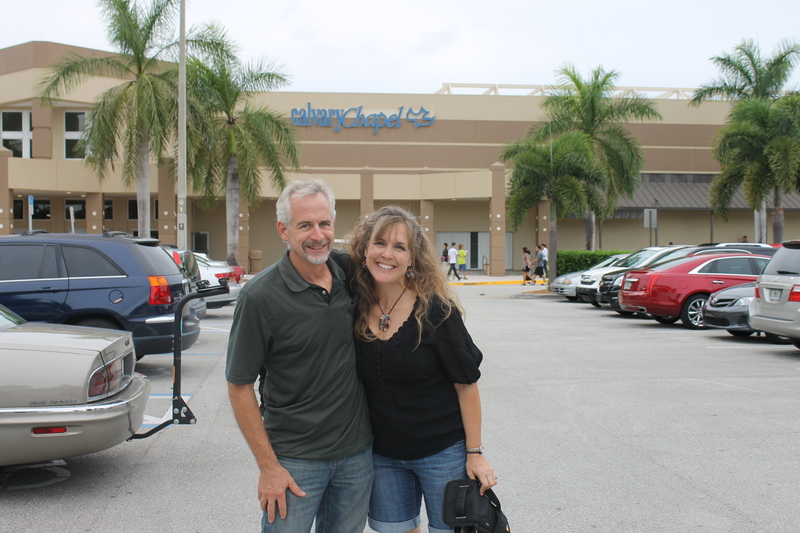 Most every month, Tim and Mark Wallace fly to Fort Lauderdale to meet with Chet Lowe (chairman of the ALC board of directors) and to attend Calvary Chapel’s Ministry Outreach department meeting. This month the Outreach department invited us both to come. So we boarded a Bahamasair jet early Wednesday morning bound for Fort Lauderdale. We snapped this picture because we had just been instructed at the gate “you will not be allowed to take any food or drink with you onto the plane”. 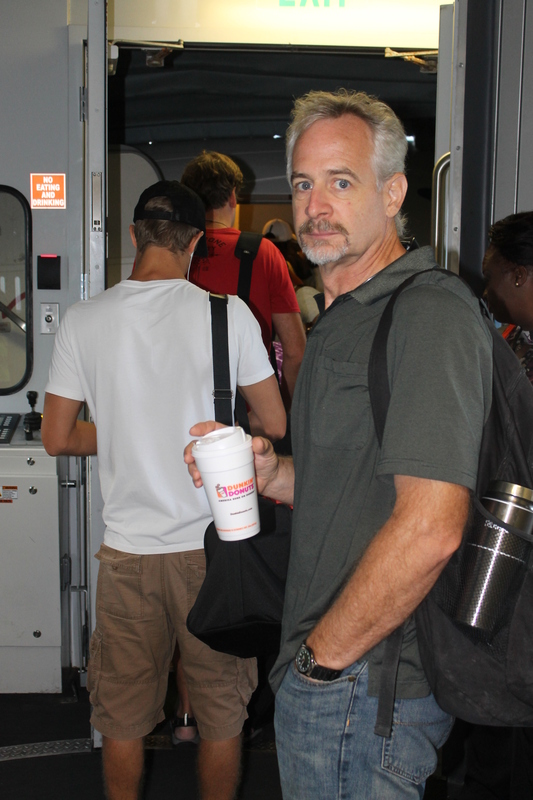 As we were handing the attendant our boarding passes, we asked where we might throw the coffee cup away, and the attendant said, “you can keep it with you.” We laughed and wondered why they repeated rules over and over again but never enforced them. This is the Bahamas! Wednesday evening we attended Calvary Chapel. It is a mega church. 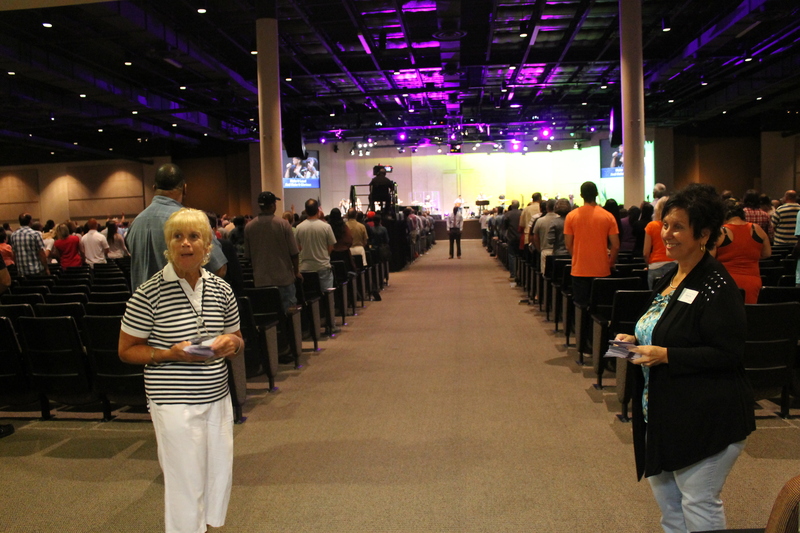 Although the preaching is good, we could never get used to the enormity of the place. The center aisle of the sanctuary at Calvary Chapel. We sat to the far east side of the auditorium and did not even see this aisle. This place is massive. Even with the size of the place, we saw some people we knew. This is Sarah. She was one of the Immersion campers from this past summer. We ran in to Charmaine (helped in the office at the Centre this past summer) when we were waiting in the entry way before the service, and after the service we met up with Michael Chatigny (a former facilitator at the Centre). Some of the young people that came to camp as part of a mission team the first week in August. 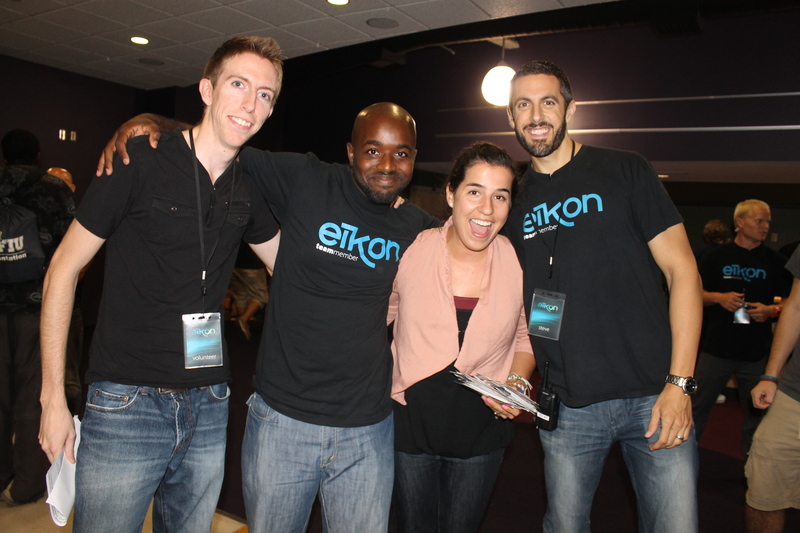 They are part of Calvary’s young adult group called Eikon. This young man also came to camp in August. His name is Tim and he is a self proclaimed extrovert. We enjoyed reconnecting with him and the other Eikon young people. 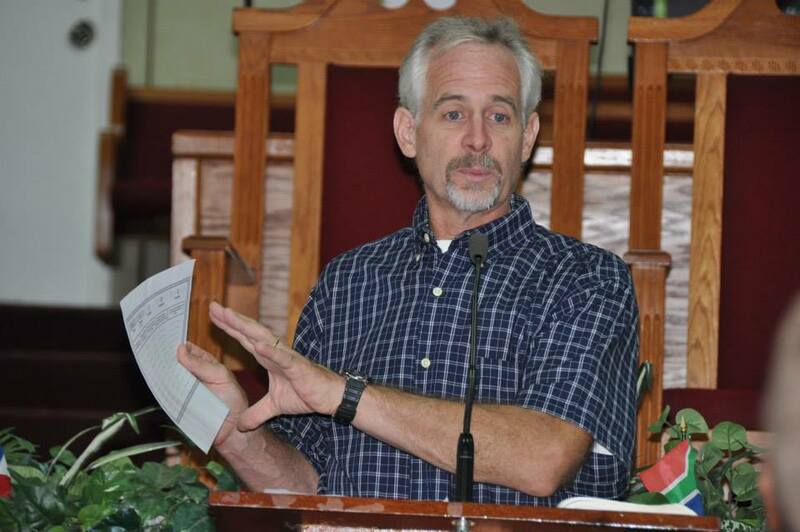 On Thursday morning, we attended the Outreach Ministry meeting led by Chet Lowe. 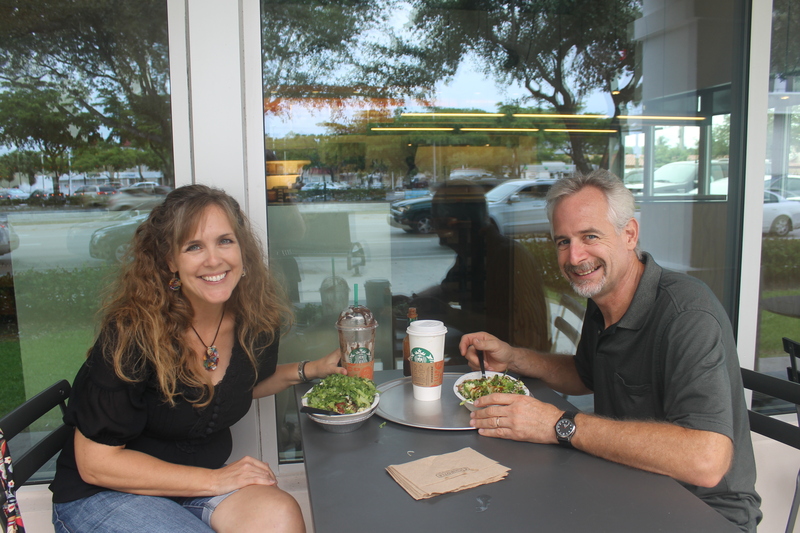 After another meeting where we got to meet the planning committee for two large 8th grade teams coming to Camp in January and February, we had lunch with Mike and Heather Leger. Mike has been a great mentor and help for Tim and the ALC these last few months. We were sad to learn that his role is changing, and he will no longer be working with us. 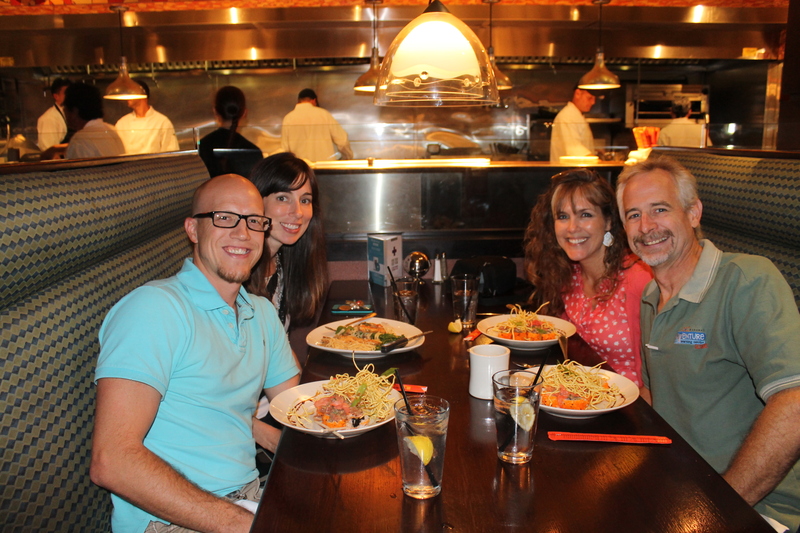 We enjoyed the fellowship with this couple. This is the restaurant on the Calvary Chapel campus. The food was phenomenal. 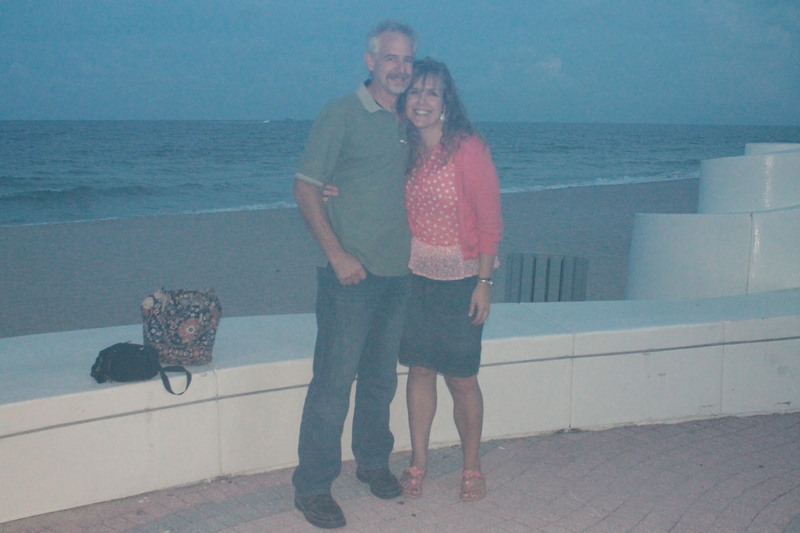 After a productive day of meetings, we went out for dinner before heading to the Fort Lauderdale beaches to walk off the food we had eaten. The haze of this picture is a result of the camera being exposed to very humid air after being subjected to air conditioner temperatures all day. As a side note, one of the nice things about being in the states is the affordable access to a/c. In the Bahamas, electricity is very expensive. We rarely run our air conditioners. On Friday morning, Tim had a meeting with Chet, and Mindy had a meeting with his assistant to go over the editing project for the new ALC website. After the meeting with Chet’s assistant, Mindy got to meet up with Chet’s wife, Adrea, to do some last minute shopping. Andrea is a dear, sweet lady. 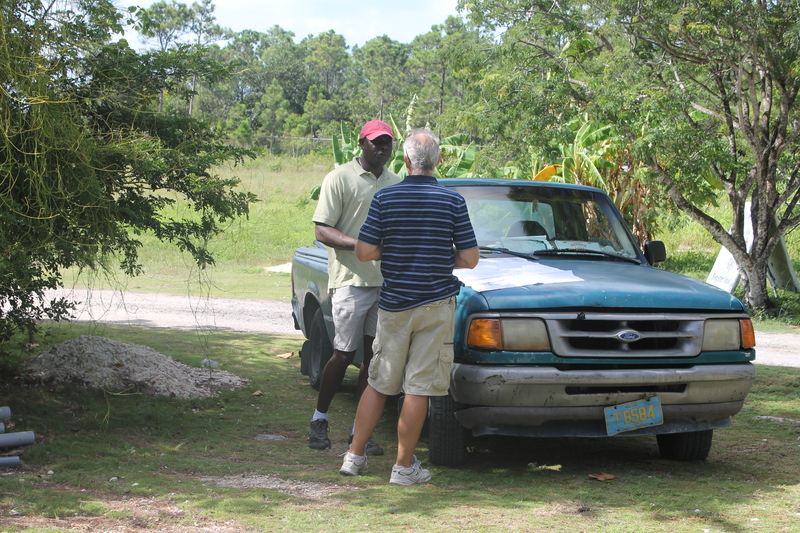 The one other person we had tried to connect with happened to be in the parking lot of the church when we were leaving for the airport to fly back to the Bahamas. This is Geoff De Sousa. He was a facilitator at the Centre this past spring. Just as we were leaving, we happened to spot him talking to a group of friends. We almost didn’t recognize him without his beard. 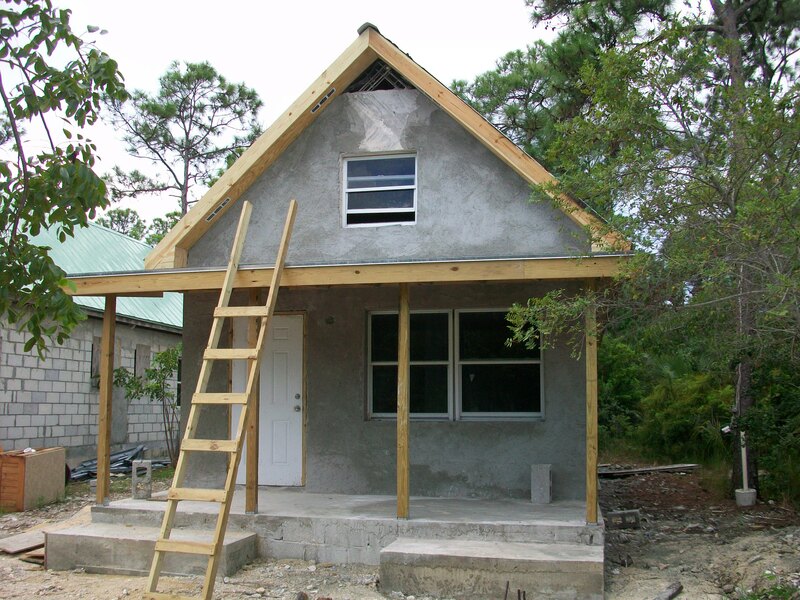 Most recent picture of the outside of the staff cottage. Right inside the front door of the cottage (taken earlier in the week). Kitchen area in the back of the cottage looking towards the front. The boys stayed home while we were in Fort Lauderdale. Jen Rogers and Tom Schafer supervised them for us while we were gone. 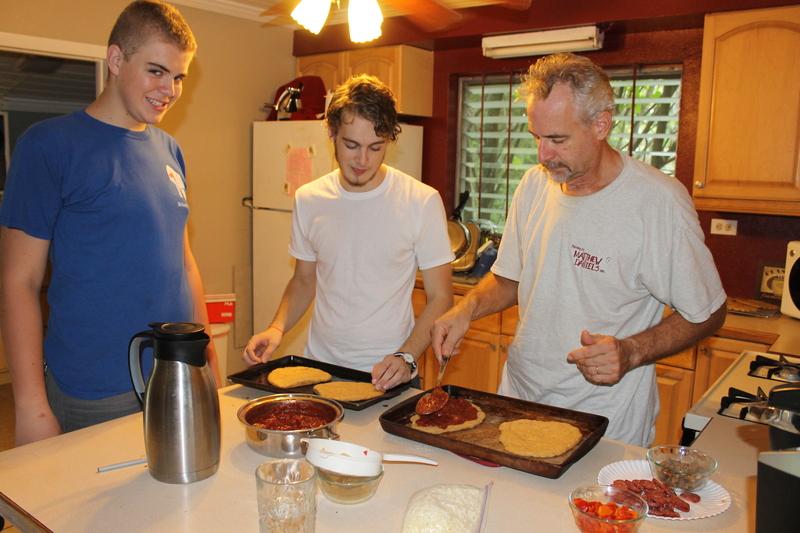 On Saturday evening, we had homemade pizza and movie night together as a family. We used to do this all the time when the boys were little. Sure miss those days. *Praise the Lord, someone has taken over Garrett’s lease of his apartment in La Crosse, WI. He now lives with Tim’s parents in Minneapolis. *Young Adult Weekend 11-12 October 2013: pray for the event, pray for our speaker Jay Seegert, pray for logistics of the weekend, and pray that we get the help and staff we need to run the event. *That God will continue to supply the monthly support we need, and that we continue to trust and rely on Him. Thank you again for praying for us. We know we are nothing without God and that all we have and do is entirely a result of God’s grace and goodness to us. Please email us when you get a chance. We love hearing from you.